Not as good as previous Patterson books & I wasn't scramblig to get home to get lost in my reading like other Patterson books i've read. Love the main character and the story. At one pint I thought the story was done and still wanted more, sure enough Ruby’s story was not finished. Typically a great book from the thril Master who always picks the best writers as his partners. 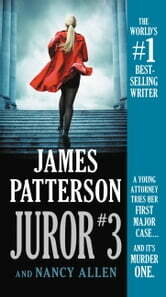 Now I remember why I quit reading James Patterson novels. This story is messy, Ill thought out, and ripe with Hollywood stereotypes of southern states, “poor white trash” (authors own words), down to the fake badly written drawl. The characters are bland, one note, and predictable, with zero personality. The actual story content barely even resembles the book description. I can’t believe I wasted money and time on this.